Being one of the outstanding figures in the Bulgarian musical community, Petko Staynov dedicates himself to the establishment of amateur choirs, which play the role of important centers of the Bulgarian musical culture in the first half of 20-the century. In 1915, immediately upon graduating from the Institute for the Blind and his return to Kazanlak, he begins conducting a mixed choir performing songs composed by Dobri Hristov, Dimitar Hadjigeorgiev and Alexander Krustev. In early 1924, having returned from Germany, he revives the local choral society and brings life to the concert activities of the choir and its orchestra. 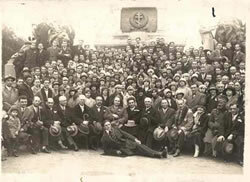 Following his move to Sofia in 1928, Petko Staynov is elected a member of the Union of Folk Choirs leadership; in 1930 he joins the Union’s editorial and publishing board (until 1939). In 1933 he is elected Chairman of the Union and is permanently reelected until the organization’s closure in 1945. Throughout all these years he works tirelessly towards the organizational and financial consolidation of the folk choirs, strives to widen and enrich their repertoire and to elevate the artistic level of their performance. After World War II, Petko Staynov’s active and multifaceted contribution to the musical artistic amateur activities is a natural consequence of his devotion to the folk choirs cause. In 1949 he becomes member of the Artistic Council of the Central Professional Unions House; in 1949 he is Chairman of the Amateur Activities Artistic Council at Municipality of Sofia; since 1967 he is Chairman of the National Council for Amateur Artistic Activities at the State Committee for Art and Culture. As initiator, organizer and member of the jury at fairs, festivals and amateur folk, musical and dance art competitions, he staunchly upholds the right of self management of the amateur artistic activities. In 1933, Petko Staynov is a co-founder, first and permanent Chairman (until 1994) of the Contemporary Music Society of Bulgarian Composers, which works actively and devotedly to popularize the Bulgarian composers’ works, to protect their professional interests, and to ensure a competent musical leadership of the National Opera. Upon the establishment in 1947 of the new Union of Composers and Musicologists (later Union of Bulgarian Composers), Petko Staynov is elected (and continuously re-elected until his death) a member of the Union’s Presidium. 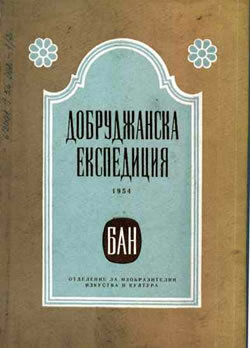 In 1952 he becomes a member of the Editorial Board of the Union’s official publication, the Bulgarian Music Magazine. Until his death, he is an energetic participant in all Union’s initiatives and is its representative at numerous international events – festivals and congresses. 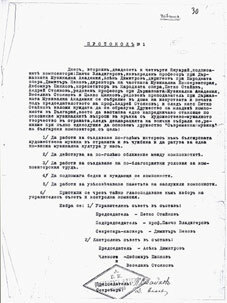 In 1941, Petko Staynov is elected a regular member (Academician) of the Bulgarian Academy of Sciences. To the end of his life, he takes an active part in its leadership: member of the Presidium, Secretary of the Division of Fine Arts, Music and Architecture, member of the Academy’s Editorial Board, member of the Editorial Board of Bulgarian Encyclopedia. In 1948, Petko Staynov founds (and in 1950 becomes director of) the Institute of Music with Museum of the Academy. Until his last day, he dedicates all his energy to running the Institute, to the development of the Bulgarian musicology, to an extraordinarily active publishing activity, to the collection of the Bulgarian musical and dance folklore. In 1924, Petko Staynov becomes a member of the Society of the Blind in Bulgaria (later Union of the Blind in Bulgaria); in 1927, when he moves with his family to Sofia, he becomes an active member of the community of the blind. Again in 1927, he starts teaching piano at the Institute of the Blind (until 1941). In 1928 he is among the founders and is elected as the first Chairman of the Board of Trustees of Louis Braille National Cultural Center for the Blind (until 1941). In 1935, he vigorously supports the initiative for the establishment of a professional choir of the blind in Bulgaria; the choir bears his name since 1977. During his entire life, Petko Staynov firmly defends the right of the blind to an equitable place in the society and tirelessly assists in the development of cultural institutions for the blind. In 1971 he is elected an Honorary Chairman of the Union of the Blind in Bulgaria. In 1941, by a Czar’s Decree, Petko Staynov is appointed Director of the National Opera, which separates it artistically from the National Theater. The years of his leadership are characterized by the enrichment of National Opera’s repertoire with Bulgarian works. Its stage becomes open to guest-performances by outstanding foreign conductors, directors and singers.